Tata recently unveiled it's futuristic concept model hatchback at a Microsoft event. With the very first look of the car, it looks nothing like a Tata product. 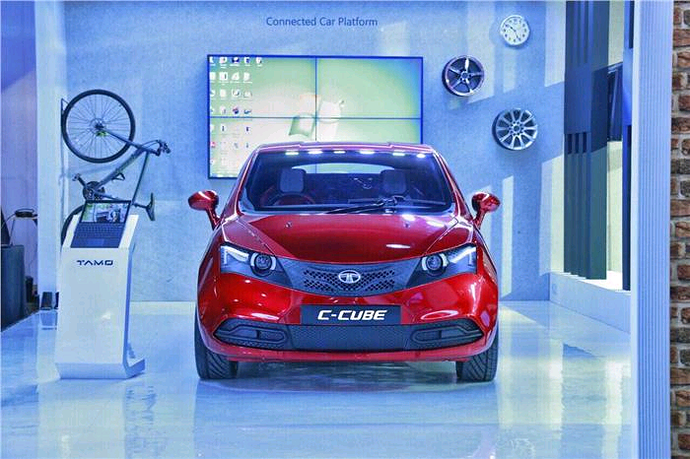 C-Cube is a concept coming out of the Tamo mobility solution brand, the first look was made public at the microsoft tech even in Mumbai. Tata Tamo earlier also unveiled it's Tata Tamo Racemo sports car. The concept was part of the product transformation theme of the event. 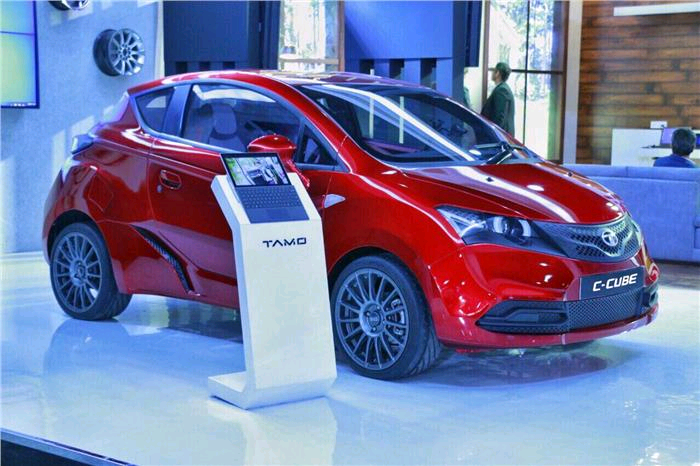 The design includes a 3 door facility and looks like the most fluidic hatchback India has ever see. It showcases a small bonnet and a swooping windscreen along with a girlle mesh which stands out. The front grille make is similar to what we find in a Tata Hexa and Tiago. It also features angular LED daytime running headlamps which are neatly fitted in the body. The car does not fail to impress with a very prominent shoulderline along with air vents on the rear fender.